Compás: is a repetitive section of a given dance that sequences itself by only a few bars, which gets its character and uniqueness from its own chord progressions and rhythmic characterizations. MALAGUEÑA, RUMBA, SEVILLANAS, FARRUCA, SOLEARES, BULERIAS, ALEGRIAS, FANDANGOS DE HUELVA, GUAJIRAS AND SEGUIRIYAS. 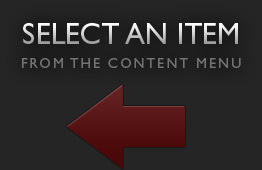 Falseta: a melodic statement that is plugged into the compas. They can be improvised, composed by the own guitarist, or they can be used as a quotation from another. Falsetas are only credible if composed with stylistic appropriateness to the compás in question. Coplas: a folk melodic treatment is included within the compás. Rasgueado: multiple finger strokes; Marote rasgueado: multiple finger strokes with the aid of thumb. Golpe: stroke with fingernail on the top of guitar as strings are strummed, or played singly. Golpeador: the invisible protection against golpes, which is glued above the top of the guitar. Ligados: slurred notes by means of hammer-ons or pull-offs. Disjunct lines: lines which are built skip-wise rather than step-wise or scale-wise. Apagados: the technique of muting the strings after a stately strum, either with the palm of the right hand or the left hand's little finger. Alzapúa: multiple and brisk ‘thumb only’ strokes in an upward and downward motion that are used to create high rhythmic excitement in a given passage. Picado: the way in which melodies are performed in flamenco. It is similar to the ‘rest stroke’ used in classical guitar. One Octave: the first eight notes in a scale that can begin on any scale degree. Tremolo: the device used in guitar execution to sustain notes as if played by a bowed or wind instrument. All fingers are required to perform the tremolo: p, i, a, m.
Ayudado: translation; "helped." Performing melodic thumb duties with the middle finger resting on the B string. Salidas: the closing last bars of either an entire dance or just a smaller section. Silencio: slower and somber passage within the context of the Alegrias. Escobillas: another passage within the context of the Alegrias that features foot work. Learn the techniques and dance accompaniments associated with the Flamenco guitar. Mario DaSilva introduces himself and the Spanish art form of flamenco guitar. 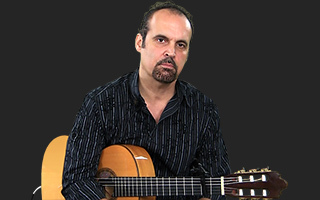 Mario DaSilva starts to break down flamenco guitar techniques, starting with a basic one finger strum. Mario DaSilva starts to break down the different versions of the flamenco rasgueado. He starts with the triplet subdivision using two fingers. Mario DaSilva breaks down the stroke pattern for the sixteenth note rasgueado. Mario DaSilva breaks down the five stroke rasgueado technique. He continues to use the Soleares in his examples. Mario DaSilva turns up the heat with a six stroke rasgueado technique. Mario DaSilva begins to break down what are known as the marote rasgueados. This technique involves subdivision using both the thumb and fingers. Mario DaSilva demonstrates an alternate way to perform the marote rasgueados. Mario DaSilva wraps up the rasgueado techniques with the 16th note subdivision of the marote rasgueado. Mario DaSilva begins to teach the arpeggio techniques utilized in the flamenco style. Mario DaSilva adds the ascending arpeggio to the repertoire and combines it with the descending arpeggio. Mario DaSilva demonstrates arpeggios subdivided into sixteenth notes. He introduces a new compas called the Farruca as well as the golpe technique. The Alzapúa is a fast, thumb only picking technique designed to project and create a more flamenco-styled sound. In this lesson, Mario provides some drills that will help you master this technique. In the second lesson for the Alzapúa technique, Mario discusses why you would want to use this technique over a standard fingerstyle pattern. Mario DaSilva discusses and demonstrates how scales are incorporated into the flamenco style. In lesson 17, Mario discusses endurance and ways to built upon it for speed and accuracy. Mario DaSilva provides several drills to help build your arpeggio skill. He uses the Malaguena dance as an example for these drills. Mario DaSilva demonstrates how the tremolo technique is utilized within the confines of the flamenco style. Now that Mario has covered the basic techniques needed to play in the flamenco style, he begins to break down the individual dances from the style. He starts first with the Malaguena. Mario DaSilva breaks down and demonstrates the famous Rumba dance. In lesson 22, Mario DaSilva breaks down the Sevillanas. Mario DaSilva takes an in depth look at the dance he initially introduced during his technique lessons. You'll remember this dance from the beginning of Mario's technique studies. In this lesson, Mario covers the Soleares in its entirety. Mario DaSilva breaks down the Bulerias. He includes the basic compas, variations, as well as several salidas to use. In lesson 26 of his Flamenco guitar series, Mario DaSilva breaks down the Alegrias dance. In lesson 27, Mario DaSilva breaks down the Fandangos de Huelva. In the 28th lesson of his Flamenco series, Mario DaSilva discusses and breaks down the Guajiras. Completing his studies on the dances of Flamenco, Mario Dasilva offers up a lesson on the Seguiriyas. About Mario DaSilva View Full Biography Mario DaSilva is an expert classical and Flamenco player who has toured and played with some of the finest musicians in the business, including the following: Nashville Chamber Orchestra, Belmont University Orchestra, Indiana University SE Orchestra, Bowling Green Chamber Orchestra, Nashville Ballet, Lari White, Chuck Cannon, Little Big Town, Muriel Anderson, Felipe De La Rosa, Bruce and Sandra Dudley, Lori Meecham, and Tracy Silverman.